Diagnosis: Urinary system malformation, urinary bladder sclerosis, neurogenetic urinary bladder, two-sided ureterohydronephrosis with drastic kidney failure. Chronic pyelonephritis. Ureterohydronephrosis on the right side. A baby-girl Mira first faced the hospital when she was only eight days old. She was running fever and ultrasound exam revealed dilated ureter and enlarged pelvis. Then the baby was diagnosed with two-sided ureterohydronephrosis (3rd stage). At the age of four months old Mira was additionally diagnosed with urinary system malformation, ureterohydronephrosis on the right side (4th stage), stricture on the left side (4th stage), and chronic pyelonephritis. Mira underwent endoscopic surgery to implant a stent and a Foley catheter, and there were other procedures as well. When the baby turned six months old she had to undergo another surgery which was aimed at withdrawing urine by means of ureterostoma on the right side or in other words Mira’s ureters were taken to her abdominal cavity, so her kidneys would not suffer. 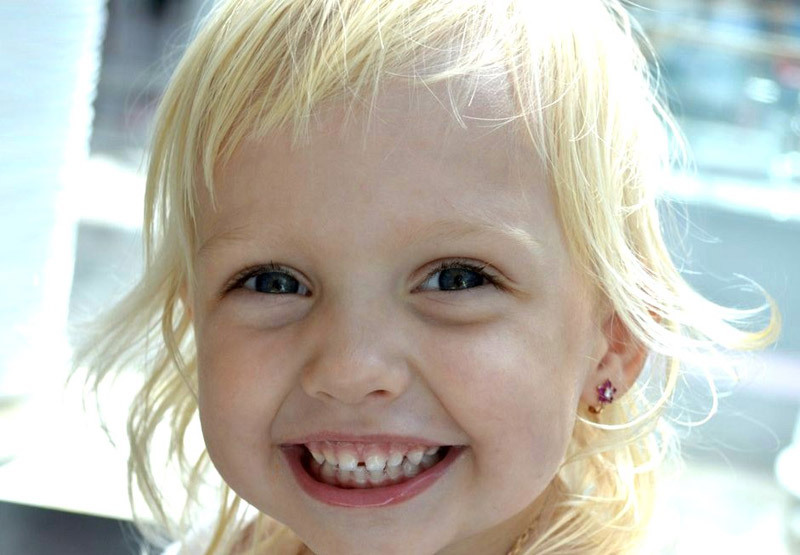 This was just the start of a number of other surgeries for this little princess. At the age of eight months Mira again had to face endoscopic surgery which this time removed the stent and put gel into her ureter. Mira does not know what it means to sleep in her bed. All she has seen are hospital walls, antibiotics and anesthesia. When Mira turned one year and eight months old she was examined again and diagnosed with urinary system malformation, urinary bladder sclerosis, neurogenetic urinary bladder, two-sided ureterohydronephrosis with drastic kidney failure, chronic pyelonephritis, and ureterohydronephrosis on the right side. 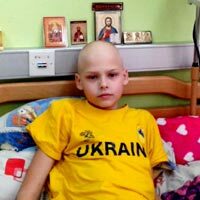 Unfortunately, Ukrainian physicians cannot help Mira any more and recommended that her parents try clinics abroad. It’s hard to imagine what Mira’s parents are going through now. Mira’s mom is suffering from a nervous breakdown while Mira’s dad is taking care of her older brother Danil in the cancer department of the hospital. When Mira was one year and ten months old she underwent another very complicated surgery on urinary bladder and ureters conducted by prof. Stakhovskiy E.A. However, Mira’s health condition has become even worse despite the fact that she faced a number of surgeries, treatment courses with piles of antibiotics and uroseptics. A recent checkup showed that little Mira does not have a coccyx! It means she lacks nerve endings in her pelvis area which are also responsible for urination. 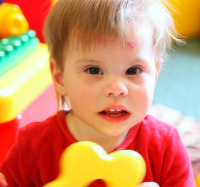 This sadly means that nine surgeries were perhaps more harmful than helpful, but Mira had to follow the advice of Moscow physicians and receive the catheter implant. 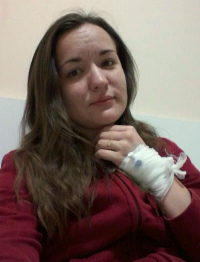 Mira had to follow the advice of Moscow physicians and was implanted a catheter. In addition, the girl has to take expensive procedures with German medication called UBRETID for a better function of her urinary system. Her bloodwork results are not very good and that is why Mira’s parents have decided to consult some German specialists. Charite clinic has recently sent their examination bill of 7,630 euros which is huge money for the Sirota family. Mira’s parents are currently writing letters to German charity foundations, hoping they will be able to find money for the examination. There is very little time left since Mira’s kidneys are failing and can stop functioning any moment. This blue-eyed blond boy named Danil is one of the children people usually consider to be the joy of parents. He is a good student, sportsman and a winner of serious judo competitions. 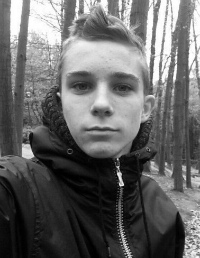 Danil was growing sociable and friendly. He enjoyed going to school and study. He had many friends at school. Danil’s teachers praised him for a good memory, diligence and discipline. 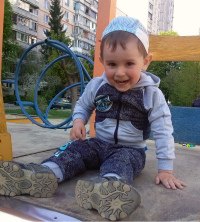 Mira and Danil urgently need your assistance! 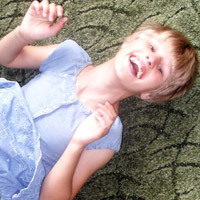 Danil is scheduled surgery on lengthening his leg prosthesis which was implanted after removal of his cancerous tumor. The children’s parents are doing everything possible and impossible to raise money but the time is against them and they need your kind support! Every small donation is priceless and counts! The examination bill for Mira in Germany: 7,630 euros. The ticket for two persons to Germany (two ways) – 800 euros. All in all Mira needs 8,430 euros. Danil’s surgery on lengthening his leg prosthesis: 18,000 hryvnyas (782 US dollars). 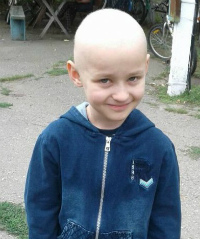 The second surgery on lengthening Danil’s leg prosthesis scheduled for August 2015: 23,000 hryvnyas (1,000 US dollars). All in all Danil needs 41,000 hryvnyas (1,782 US dollars). 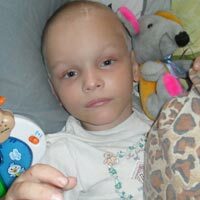 The Sirota family needs 264,00 hryvnyas (11,478 US dollars) to save their two precious children! Your donation can certainly make a difference! The family lives in Zaporizhzhia. The cell number of Danil and Mira's father Alexey: +38 095 233 41 91.